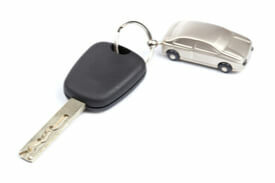 Buying a car is not just a quick and easy decision. In most cases, it requires financing, but that is just the start of several possible complications. And thanks to the internet, there are several platforms where you can buy a second-hand or new car, which increase the amount of risk. Two of the most popular platforms are eBay and Craigslist, and they will also be the focal points for this particular article. Should you buy a car on eBay or Craigslist? The best place to start would be to compare them and find what makes them different. Acts as the middleman between the buyer and the seller, while trying to prevent scams from surfacing. Unfortunately, the platform is still a victim to regular scamming, and using caution is always recommended. Basically, there is a degree of monitoring involved, but it’s not a guarantee you won’t get scammed. When you think about Craigslist, think about a more retro style of advertising. However, there is no middleman involved, meaning the seller and buyer work directly with each other. Essentially, this is a basic advertising service, focused on simplicity. Just like with eBay, you have no guarantee that you will receive what you buy, you just don’t have a third party you can complain to. There isn’t much difference regarding the actual buying process. For both platforms, you will need to get your own financing, unless it is offered by the seller, and there is only one big difference. When buying on eBay, you’ll get the option to bid on a car instead of making an instant purchase. This can either work for you, or it can go against your plans. So, with eBay, you get more options in terms of how you want to buy the car. With Craigslist there are no bidding options available. If you are wondering whether one platform has more options than the other, you are not going to find a definite answer. Both eBay and Craigslist have an extensive range, and they cater to areas near you. So, when comparing the two on grounds of availability, both are going to deliver an extensive choice range. This is a sensitive issue because you have dedicated followers for each platform. But when it comes down to it, Craiglist is the most vulnerable platform, because there is no third party involved. With eBay bosses actively trying to curb a number of scam deals, Craigslist is a platform that doesn’t extend further than putting two people in contact with each other. It’s easier to find trustworthy sellers on eBay, thanks to the rating system they have in place. This gives you a better idea of whether the seller can be trusted. As for Craigslist, you have to trust your instincts, which is not ideal if you are prepared to spend thousands of dollars. If a winner has to be chosen between the two platforms, eBay has a slight advantage, if only for the rating system and the third party investigations. And while many sellers can be trusted on Craigslist, one can’t help feeling that shadow of doubt lingering in the background. In fact, there are some things you just shouldn’t be buying from either of them. And the complications that come with buying a car, not to mention the risk of losing your money to a shady seller, should be considered thoroughly before any final decisions are made.